The Hershey Campus of Lancaster Mennonite is a wonderful place for students to explore and discover the creative gifts which God has given them and to share these gifts in significant ways. We feel knowledge and experience of the arts is a critical piece to a student’s overall academic, social and spiritual development. Our students were awarded an Apollo award for the play Harvey. The Apollo awards are presented annually for outstanding achievement by local high school students in their musical and play productions. Five instrumental music students have qualified for County Band this year through a rigourous audition process. The students have many opportunities to participate in the theatrical arts. Students in grades 7-12 may take Drama class where they learn about many different areas of drama including improvisation, action, technical theater, Shakespearean theater, musical theater and more. All elementary students participate in two annual musical productions, which incorporate music and drama to showcase what they have learned throughout the year. Secondary students also have drama performance opportunities presented to them. Each year the school has a play or musical that secondary students can participate in. Students of many different abilities and talents can participate in the productions by acting, directing, stage-managing as well as all back-stage and technical positions. Our goal is to help students discover their talents and desires within the world of theater. Our digital photography program consists of both an introductory and advanced class. Each class focuses on using a digital camera to glorify God through the capturing of His creation and to serve others as image makers. The introductory class covers various fields of photography, such as macro, landscape, portrait, and action. The advanced class focuses on the use of advanced techniques with studio equipments and skills needed moving into photography as a possible service or career field. The Hershey Campus offers a variety of musical opportunities for students. Elementary school students take part in classroom general music and instrumental lessons are available to students in grades 3-12. Middle school students take part in general music courses in American and World music and are able to participate in the middle school choir and concert band. High school music electives in music appreciation and music theory are available in addition to high school choir and concert band. 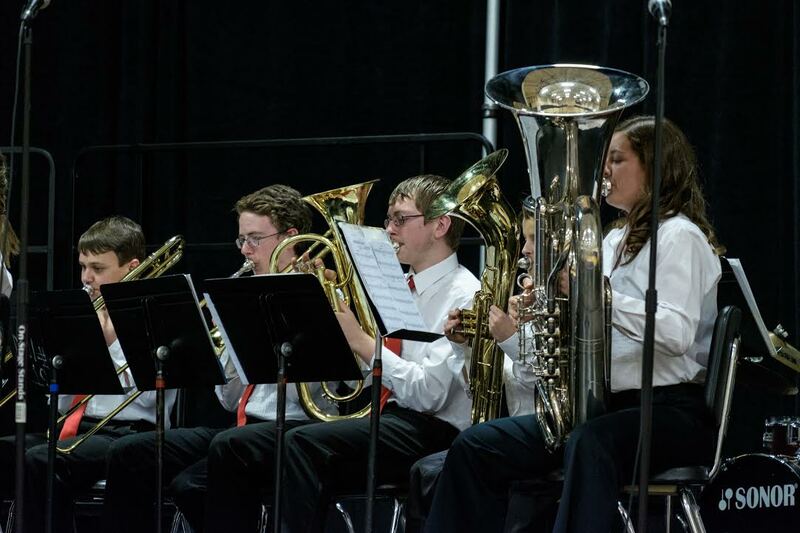 Extra-curricular music opportunities include jazz band, small instrumental ensembles and small vocal ensembles. Solo and group performance opportunities are provided throughout the school year. The art program provides students in K-12 with the opportunity to experience a wide range of artistic activities. Students discover and develop their artistic skills through the exploration of various media including graphite, watercolor, collage, acrylic paint, vine and compressed charcoal, oil paint, clay sculpture, and mixed media assignments. Both the ability to accurately perceive the physical world and to demonstrate a basic knowledge of the elements and principles of design are emphasized as foundational skills necessary for the consistent creation of powerful and coherent artwork.